Another sign of connected TVs’ ascendance: in a blog post on Friday, YouTube CEO Susan Wojcicki said that its users are now watching an average of over 180 million hours of YouTube video per day on TV screens. To put that in perspective, given the 1.9 billion logged-in users YouTube says it has per month, it would mean an average of almost 11 minutes per day per user watching YouTube on TV. No doubt that’s far less that the average Netflix, Hulu or Amazon Prime Video subscriber spends watching those services on TV. And it also pales in comparison to the over 50% of YouTube consumption on mobile devices the company has touted for several years now. Recode reported a couple days ago that Apple is potentially looking to sell online subscriptions to HBO, Showtime and Starz in a single bundle to subscribers. Since Apple has made so little progress in video compared to its peers, a bundling move like this could give it a boost. But if I were handicapping which company is much more likely to sell HBO, Showtime and Starz in a discounted bundle - and succeed with it - I’d put my money on Amazon far sooner than Apple. Yesterday I had the pleasure of moderating a super session at INTX 2016, the cable TV industry’s annual trade show. The title was “Is Content Really King? Understanding the Value of Platforms in a Crowded Video Space.” The session included Steve Shannon (GM, Content and Services, Roku), Evan Shapiro (EVP, Digital Enterprises, NBCU) and Matt Strauss (EVP/GM, Video Services, Comcast Cable). It’s no secret that there’s more great video to watch now than ever. 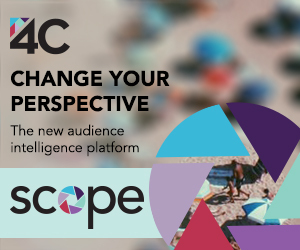 That’s created challenges for viewers to find what they want and for content providers to fully monetize their ever-growing production investments. That’s why the role of platforms is increasing in importance. I'm pleased to present the 298th edition of the VideoNuze podcast with my weekly partner Colin Dixon of nScreenMedia. T-Mobile announced something breakthrough earlier this week, with its new “Binge On” program that allows its subscribers to watch unlimited video from 24 different providers without it counting against their data plans. Granted video quality will be a modest 480p or better, but the significance here is that T-Mobile is enabling long-form viewing out of the home, without needing to hunt down a good WiFi connection or risk massive data plan overage charges. Over 2 years ago, I questioned whether optimistic forecasts for mobile video consumption were realistic given expensive data plans. In fact, research has shown that most “mobile” video viewing actually occurs in the home. But with T-Mobile’s Binge On, it will be fascinating to see if other wireless carriers are compelled to do something similar, which would be a huge boon to video providers. Colin and I discuss the ramifications. We then turn our attention to SVOD licensing, which is all over the board. Last week, Time Warner said it was going to pull back on SVOD licensing, but earlier this week AMC said it will continue to pursue a one year window. Meanwhile, Time Warner is now rumored to be investing in Hulu, in a deal that would include a content commitment. TV networks and studios are clearly caught between the short term appeal of SVOD revenue vs. the long term concern that it undermines the ecosystem. We dig into the issues. I'm pleased to present the 296th edition of the VideoNuze podcast with my weekly partner Colin Dixon of nScreenMedia. This week we discuss our first impressions of YouTube Red, and then turn to Q3 earnings reports from top cable operators, which are defying cord-cutting. For YouTube Red, Colin and I agree that the service’s primary value proposition of ad-free viewing is diminished by the fact that the ad experience on YouTube is already quite viewer-friendly and non-intrusive (as I wrote last week and yesterday). Further, the download feature, which could be quite appealing, is underwhelming on iOS, though it’s slightly better in Android. Net, net, neither of us sees much upside for YouTube Red, at least for now. We then turn our attention to Q3 earnings from 3 big cable operators, Comcast, Time Warner Cable and Charter. Each has reported very strong video subscriber results, bucking the cord-cutting paranoia. Colin notes that for Comcast, broadband profit contribution actually exceeded video’s profit contribution. I see the combination of cable’s robust broadband and hybrid set-top boxes like X1 as the key to ongoing success. YouTube Red was announced last week and became available yesterday. After taking it for a spin on my iPad (note, access for subscribers is included in the YouTube app), I’m pretty convinced that the current offering is unlikely to gain any significant traction. To be fair, there are more benefits coming to YouTube Red in the near future, but even with those, the service is unlikely to appeal to more than a small number of YouTube users. YouTube promoted the primary feature of YouTube Red as ad-free viewing. For sure, watching YouTube without ads is an improved experience, but as I wrote last week, because YouTube’s skippable TrueView ads are already so viewer-friendly, the marginal improvement from not having to click “Skip Ad” doesn’t end up feeling like a big breakthrough, especially for viewers used to YouTube being free. What’s a viewer’s willingness to pay in order to have an ad-free video experience? The question is in focus yet again with yesterday’s announcement of YouTube Red, the company’s long-rumored $9.99/month ad-free service. Unfortunately for YouTube Red, in its case, willingness to pay is going to be heavily influenced by the fact that YouTube has arguably the most viewer (and advertiser) friendly video ad model, which will undoubtedly impact interest in paying for YouTube Red. I'm pleased to present the 294th edition of the VideoNuze podcast with my weekly partner Colin Dixon of nScreenMedia. Netflix reported its Q3 2015 earnings this week with overall subscriber growth pretty much in line with the company’s forecast. However, net U.S subscriber additions came in at 880K, which was 270K short of the 1.15 million forecast for Q3 this past July in the company’s Q2 earnings report. It was the weakest Q3 U.S. subscriber growth since 2011, and continued a downward trend over the past 3 years (1.29 million in Q3 ’13, 980K in Q3 ’14). Netflix said gross subscriber additions in the U.S. were actually up year-over-year in Q3 ’15, and that the shortfall was due to “involuntary churn” caused by credit card companies issuing new chip-enabled cards with new account numbers which in turn caused a disruption in recurring billing. While we have no reason to doubt the veracity of Netflix’s explanation, many analysts, including Colin and me, find it very murky. Credit card companies have pushed back on the rationale, and other recurring merchants have said they haven’t seen any similar problems. We share our concerns and raise the possibility that Netflix may be reaching the saturation point in the U.S. with slower growth ahead (Q4 results will go a long way to addressing this). I'm pleased to present the 291st edition of the VideoNuze podcast with my weekly partner Colin Dixon of nScreenMedia. Video is emerging as a top priority for Amazon and its varied investments appear to be paying off as it builds an ecosystem to compete with Apple. On this week’s podcast Colin and I dig into the key device and content announcements Amazon has made recently (see also my post from earlier this week) and why they’re important. Amazon has clearly concluded that video is a successful driver for its Prime service, which is one of the company’s most important consumer-facing priorities. Colin notes that research released from Digitalsmiths earlier this week showed that Amazon Prime video is now used by over 20% of U.S. households, up from 7.5% 2 years ago (by comparison Netflix increased from 28% to 49.4% and Hulu increased from 6.3% to 11.8%). Colin and I expect a lot more video-related investments by Amazon as it leverages its deep pockets and multiple lines of business to change the rules of the game in OTT. HBO thoroughly dominated at the Emmys last night, riding the big success of “Game of Thrones.” However, Amazon took home 5 Emmys (all for “Transparent”), just behind ABC (6), but ahead of CBS (4) and Netflix (4). The Emmys are a high-profile gauge of Amazon’s early success in video, but to get a fuller picture of the force that the company is poised to become, it’s important to look at the range of video initiatives Amazon is pursuing. It’s been 4 years since Netflix’s “Qwikster” fiasco, in which the company infamously tried to separate its DVD business, eliciting emphatic objections from its subscribers. Netflix offered implausible explanations for its move and ultimately reversed itself. Since then the company has executed flawlessly, expanding its content, extending its international footprint, watching its stock price soar and most importantly, winning back the love of its subscribers. Thus it is perplexing and frustrating to see Netflix oppose the idea of enabling its content to be downloaded for offline viewing, as an augment to streaming it. Reminiscent of Qwikster, Netflix is offering up bizarre and non-sensical explanations for opposing the download feature that it readily admits its subscribers are hungry for. Further, with Amazon’s expansion of Prime Video downloading to iOS and Android devices last week, it also appears to be a new competitive lever among SVOD providers. Watching TV isn’t what it used to be. We have shifted from one screen having a monopoly on our viewing experience, being obligated to watch in a fixed place and at the whim of the operator’s regularly scheduled programming. Now, broadcasters and publishers must reach multiple screens, make content available to any viewer, anywhere, and most notably, whenever they want to watch. The rise of OTT isn’t just inevitable - we’ve arrived. Yesterday pay-TV network EPIX announced a multi-year distribution deal with Hulu that will kick in on October 1st, as EPIX’s current deal with Netflix phases out. Perhaps most noteworthy here is that in the current Wild West environment where everyone and their brother are launching standalone SVOD services, EPIX has remained disciplined in choosing to instead team up with a large SVOD player (EPIX has a separate SVOD deal with Amazon dating to 2012 as well).